Cody is entering his first season as Head Coach with the Warhawks. 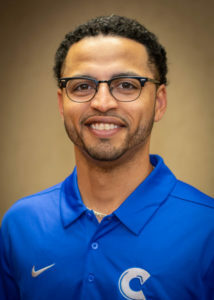 He previously spent 6 seasons at Volunteer State Community College (Gallatin, TN) and Motlow State Community College (Tullahoma, TN). Cody is from Fayetteville, TN and attended Lincoln County High School. He spent his freshman season at Calhoun Community College before transferring to Volunteer State and Tennessee Wesleyan to close out his collegiate career. While at Tennessee Wesleyan, Cody was tabbed a First-Team All-American his junior season. He hit .397 with 23 Homeruns and 108 RBIs. He was also named a First-Team Gold Glove winner at 2nd Base. He compiled 64 Homeruns during his 4 years of college baseball. 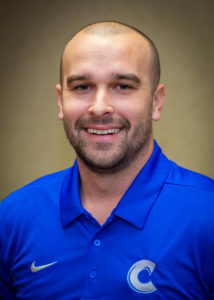 In his 6 seasons as assistant coach/recruiting coordinator at Volunteer State and Motlow State, Cody coached 8 draft picks. His most recent accolade was leading the 2018 Motlow team to lead the country in regular season Homeruns with 98. His First Baseman led all of NJCAA in Homeruns with 23. His catcher was drafted, but turned it down to continue his college career at the University of West Virginia. Cody is a relentless recruiter and expects great things in the future during his time at Calhoun. Cody is married to Tayler Gaskill, also from Lincoln County. They have a daughter Camden, who is 2 years old, and are expecting their 2nd baby girl in May 2019. Alan Watkins enters his third season as part of the Calhoun Community College baseball program. In his role as assistant, Coach Watkins helped lead the 2017-18 team to the ACCC tournament. Watkins has a Bachelor of Science Degree in Special Education from the University of North Alabama and is a certified Driver Education instructor. 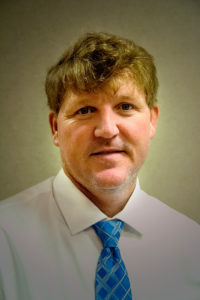 Watkins has over 24 years of coaching and teaching experience. He is a graduate of Austin High School where he served as head baseball coach for 10 seasons. Coach Watkins played college football and baseball at the University of North Alabama. Ben is entering his 2nd season coaching at the college level. He spent his first year at Wallace State Hanceville where he played from 2008-2010. In his first season as pitching coach, his staff included a 4th round draft pick, a First-Team All-American, First-Team All-Conference player, 2 preseason All-Americans, and the conference leader in strikeouts. Ben pitched at Wallace from 2008-2010 before transferring to University of West Florida and winning a National Championship. While there, he threw only the 2nd No-Hitter in school history. He was named to the First-Team All-Conference team, he was named a Second-Team All-American, and was a two-time conference pitcher of the week. He was drafted after his junior season in the 36th Round by the Washington Nationals. He played 4 seasons of professional baseball. Ben will be the pitching coach for the Warhawks. He is one of the great young pitching minds in the game, and is excited to be home, as he resides in Decatur.